Social Media has nowadays became the most effective for boosting and advertising your business and get traffic to your website and ultimately convert them into your customer. Everyone from young to old are talking about social media, but you still don’t know how Facebook, Twitter, Instagram or LinkedIn can help your business. So, here are some points Why you should use Social Media that boost up your business. 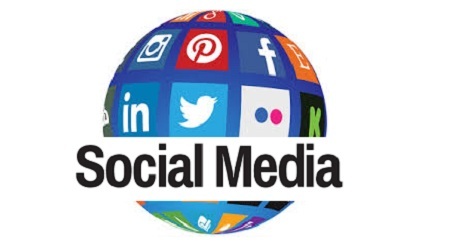 Social media platforms allows you to share your content easily to large number of people in the entire world with nearly little or no cost at all. Through social media you can use the power of word of mouth, like as said “rumors travel as fast as good news”. So, using social media strategy allows to get up-to-date news that are happening in and around us or in your business. It makes you to define your brand reputation and can drive traffic to your business. Social media shouldn’t only be about broadcasting your message to your fans and followers. Taking time and learning about your audience will help you cater campaigns and produce offers to your target customers, and eventually provide you a better return on investment. As per studies shows that that 75% of customer, who had quick and effective brand experience will response on social and are more like to recommend your brand to others as well. Interacting with your audience and inducing a positive word of mouth will efficiently help you attract more customers. Social media also plays a very important role in increasing your website traffic and thus improves your search engine ranking as well. So, being active on social media will not only make your business popular but will also rank on Google’s search page.